Europe is bracing for a new US president whose foreign policy objectives are measured by American interests. Damage control isn’t the only answer: Europe has to take its fate into its own hands. Europe is entering 2017 with an acute sense of helplessness. Internal crises and external pressure have driven deep wedges between the European Union’s 28 (or probably soon 27) member states. The rise of populism has stoked new fears, especially with key elections in three major EU countries this year. 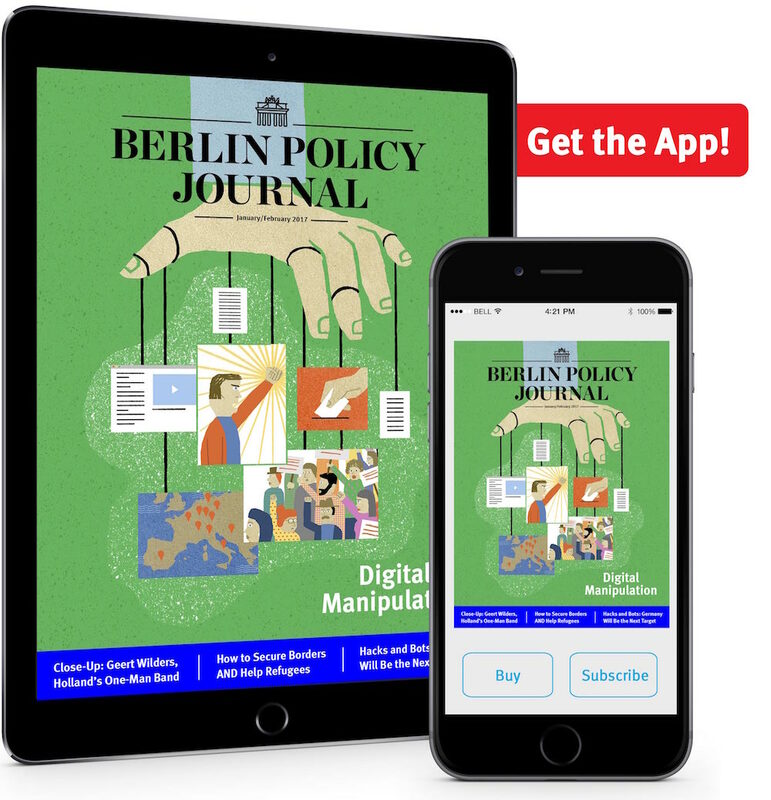 The era of post-truth politics and the influence of fake news have cast a long shadow, especially over those battling to forge responsible, lasting policies on both sides of the Atlantic. Russia has destabilized the European Union by flexing its muscles at home and abroad. Further crises in Europe and beyond have triggered debates over security and migration, and they are tearing at Europe’s fabric. Uncertainty and unpredictability have paved the way for new actors who peddle simple solutions: nationalism, a weaker Europe, isolationism. They are threatening to topple the entire Western liberal order – the very foundation of European integration. And their dissent is drowning out the voices of those who dare to defend liberal societies, Western values, and the joint development of European, Western, and global structures. With Donald Trump in the White House, Europe might well lose its most important ally in the democratic liberal order. Even if President Trump does not carry through all of his campaign promises, Europe will soon have to get used to an America that builds its foreign policy exclusively in its own interest, with little consideration for mutual concerns. The European Union can wait and watch, and run damage control. Or it can take the reins and lead Europe back to a position of strength. Only then might Europe be considered a valuable counterpart to Washington. But before the EU can begin to forge a cohesive foreign policy, it must first and foremost mend the widening rifts within its own borders. Without compromising on liberal principles, European policymakers must address the fears and frustration of those citizens who are drawn to populism and extremism. They have little trust in the current system or its elites, and it is crucial that Europe reaches a hand out to them – not least because populists here watched how Trump successfully redefined the boundaries of public discourse by polarizing groups and blurring the truth. There does not seem to be much that EU countries share in common these days, but they have all witnessed a growing uncertainty, a sense of losing control. Identity has become a bitterly divisive issue in some member states, particularly as migration has taken center stage in the past few years. Other countries are battling deep-seated socioeconomic woes. The two are often intertwined: It is precisely those who struggle to make ends meet that are more likely to feel threatened by foreigners and prefer more borders, not fewer. In these uncertain times, the European Union is more often seen as part of the problem than the solution. Brussels is perceived as the shepherd of liberalism, an abstract power that unlatches borders and renders national governments unable to protect their own citizens or economies. The European internal market has been the motor of Germany and the EU’s overall economic success, but it also created systemic inequalities. Germany has exhibited steady and robust growth, but in weaker states, GDP has yet to reach pre-crisis levels. Unemployment has surged in a number of member states, particularly among youth. Millions of young Europeans have no prospect of finding a fair and respectable job. Tax competition within the EU has seen capital and entire labor forces shift from one member state to another. All of these factors only serve to reinforce the sense that Europe is far more a burden to than an advantage for many social groups. It is no wonder then that a growing number of people are starting to question the social and economic policies of the last few decades. That makes Europe, like the US, prone to protectionism and isolationism; both offer false hope to those who feel left behind. And free trade has become a central target in the debate over Europe’s future. Mass protests hamstrung negotiations on the Transatlantic Trade and Investment Partnership (TTIP) and the Comprehensive Economic and Trade Agreement (CETA). It is the first time in the postwar era that the exchange of goods and services sparked such hostility. But the EU failed to look after the growing number of people on the wrong side of Europe’s liberal market policies, and it is now paying the price. There is no longer a consensus that free trade and investment pacts are in the EU’s interest, and the European Commission (Europe’s chief negotiator) is not on equal footing with partners like the US. If this trend continues, Europe will be greatly weakened in its ability to have a say on regulation and global standards on issues from the environment to consumer protection to financial stability. Some of these problems can be resolved on a national level, but others cannot. If Europe is truly to become more competitive, more balanced, and more resistant to crises, we need a long-term strategy for dealing with debt and deeper reforms on eurozone governance. On social policies, we will need greater participation from some member states to combat rising political and social instability. The complete and utter lack of effective stabilization instruments is yet another argument in favor of overhauling the EU budget. Brexit negotiations provide the perfect opportunity to do so, as the EU will have to recalibrate the budget without Britain’s contribution. It is not just economy and trade, though: the visa-free Schengen zone and Europe’s liberal asylum policies are also the subject of much debate. Now more than ever, the EU must demonstrate its ability to guarantee strong internal security and effectively fight terrorism, even with open borders. That will mean more systematic cooperation and intelligence sharing. And Brussels will have to demonstrate that it can regain control of immigration, by forging agreements with countries of origin and transit, for example, or by instituting external border controls. The objective formulated at the EU summit in Bratislava of exercising control over external borders is just as important as developing a long-term common immigration policy. It is neither politically nor legally easy to remedy the weaknesses of an incomplete European system, particularly when it seems near impossible to revisit existing treaties. But that is no excuse not to act. Issues of economic development and migration have the potential to divide the European Union further. It will be all the harder for Brussels to stem the trend if the US is no longer the force of cohesion in the West that it has been over the last few decades. From Brexit to Russia, the Obama administration worked closely with its European partners (especially Germany) to present a united front over the last eight years, even if Obama’s “pivot to Asia” gave the impression that America was starting to look further afield for new partners. With a new administration that is at best indifferent to Europe, the task of keeping the European Union together will be left to us and us alone. Washington’s ability to polarize Europe through its foreign policy aims should not be underestimated, either. If the White House chooses to mend ties with Moscow, for example, the consequences for European and German policy on Eastern Europe will be significant. And if Washington decides to drop sanctions, it would completely undermine Brussels’ entire strategy for dealing with Vladimir Putin and Eastern Europe. That would threaten to open up deep chasms within the EU: Some member states would align with Washington while others would not. The relationship between the US and the UK could prove to be another stress test for the European Union. If Washington and London revive their “special friendship” with a bilateral trade deal or closer defense cooperation, the impact on the EU’s ability to negotiate Brexit would be critical. And it would stoke fears in Brussels that other member states might believe there are far more interesting alternatives to the current union. It is all the more important that Europe develop its own strategy on how to deal with a changing of the global guard. The transatlantic partnership has been the bedrock of German and European foreign policy since the end of the World War II. Even when there were bitter disagreements over the Iraq war, for example, there was always cooperation in times of crisis. Europe, especially Germany, could always rely on the US’ guarantee of security without contributing much of their own. Donald Trump has completely reshuffled the deck, and it is completely unclear how he plans to deal the cards. During the campaign, he vowed to make changes that would threaten to upend global security and global order. There are two possible scenarios for Europe: in the best case, the Trump administration will continue the current course but pull back from its commitments to the EU and NATO. That means some member countries will have to take on more responsibility, a trend already set in motion after the Wales summit in 2015, where NATO states committed to spending at least two percent of GDP on defense. The second scenario is far more problematic: The new US government might directly challenge the pillars of international order if it sees a chance for a better deal. That approach could take aim at everything from the World Trade Organization to the United Nations. Trump’s White House might destabilize the nuclear deal with Iran or the Paris Agreement on climate change. If Washington decides to sanction the torture of suspected terrorists, it would demonstrate blatant disregard for international law and seriously undermine its credibility. If Europe is to gain insight into Trump’s positions and strategies, it must establish as close a connection with his administration as possible in the first few months of his presidency. From the EU’s perspective, Brussels will have to actively work to exert influence on key stakeholders in Washington early on, in order to prevent the global order from breaking down further along the road. 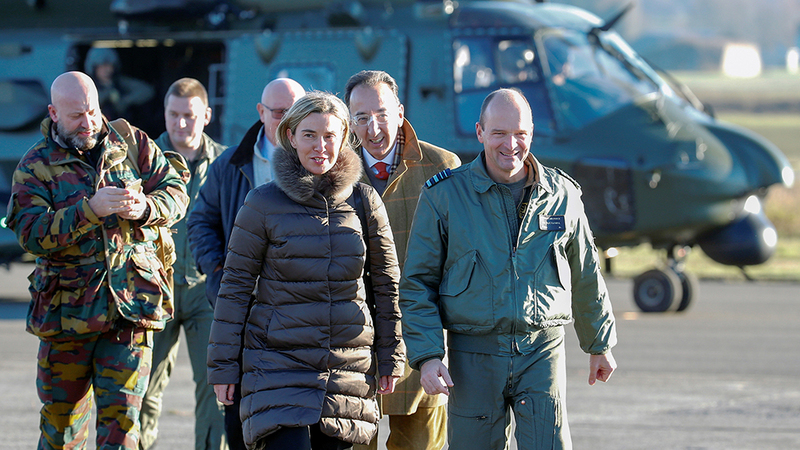 Europe must demonstrate a strong commitment to security and defense policy. Its NATO members have to make clear that they intend to honor their defense obligations, not only by spending more but also by improving cooperation and integration among EU countries. That would serve to remind Washington just how important its alliance with Europe truly is. Above all, Brussels must demand clarity on whether the security guarantees that have existed until now will continue to exist – not least because Russia sees the current political upheaval as a testing ground. At the same time, the EU and Berlin in particular would be wise to remember that military means are only one instrument; stabilization and development policies are also central pillars of foreign policy. As for the importance of international order and regulation, the Europeans would do well to warn the US against undermining existing structures. If not, regional competition could gain the upper hand. If more organizations like the Asian Infrastructure Investment Bank (AIIB) begin to crop up, Western-oriented institutions, like the World Bank, begin to lose their effectiveness – and their ability to ensure good governance. The US, too, would stand to lose influence. As the US considers retreating from its role as a global policeman and regulator, other world powers are already filling the vacuum. As soon as Trump vowed to abandon the Trans-Pacific Partnership (TPP), China positioned itself as the engine for trade in the Asia-Pacific region. The concept of spheres of influence, which both China and Russia strongly defend, is on the rise. Europe can only be effective if it creates a common policy for both countries, but efforts to do so have been disrupted by Moscow and Beijing seeking bilateral deals and cooperation with individual member states. It is up to Europe to stand up for its values and ideals of freedom, and it should continue to uphold them as the basis for transatlantic cooperation. Defending liberal democracy both at home and abroad has become Europe’s most important commitment. In order to maintain its credibility abroad, Europe first of all needs to overcome its own internal struggles. This will require more decisive European policies on issues like economic and social policy for euro area members, and, for other countries, the possibility of looser integration than our current standard. The challenge for the EU will be to master differentiation without allowing it to turn into accelerated disintegration. Externally, on foreign, security, and defense policy, Europe has to take more responsibility in this increasingly volatile world where Western global structures are being targeted. Germany and France should work closely with Poland and other partners. This should include engaging the UK on this issue parallel to Brexit negotiations. The current state of the EU is proof that incomplete integration is dangerous. In the beginning, the European Union enjoyed an unprecedented period of expansion and cooperation, but Brussels didn’t keep up the pace on political integration. The temptation to withdraw now is great. If the EU allows that to happen, it will come at a great price.